Предлагаем к чтению аннотацию, описание, краткое содержание или предисловие (зависит от того, что написал сам автор книги «Breakout at Stalingrad»). Если вы не нашли необходимую информацию о книге — напишите в комментариях, мы постараемся отыскать её. Stalingrad, November 1942. Lieutenant Breuer dreams of returning home for Christmas. Since August, the Germans have been fighting the Soviets for control of the city on the Volga. Next spring, when battle resumes, the struggle will surely be decided in Germany’s favour. Between 19 and 23 November, however, a Soviet counterattack encircles the Sixth Army. Some 300,000 German troops will endure a hellish winter on the freezing steppe, decimated by Soviet incursions, disease and starvation. When Field Marshal Paulus surrenders on 2 February 1943, just 91,000 German soldiers remain alive. A remarkable portrayal of the horrors of war, Breakout at Stalingrad also has an extraordinary story behind it. Its author, Heinrich Gerlach, fought at Stalingrad and was imprisoned by the Soviets. In captivity, he wrote a novel based on his experiences, which the Soviets confiscated before releasing him. Gerlach resorted to hypnosis to remember his narrative, and in 1957 it was published as The Forsaken Army. Fifty-five years later Carsten Gansel, an academic, came across the original manuscript of Gerlach’s novel in a Moscow archive. This first translation into English of Breakout at Stalingrad includes the story of Gansel’s sensational discovery. Written when the battle was fresh in its author’s mind, Breakout at Stalingrad offers a raw and unvarnished portrayal of humanity in extremis, allied to a sympathetic depiction of soldierly comradeship. After seventy years, a classic of twentieth-century war literature can at last be enjoyed in its original version. Кто написал Breakout at Stalingrad? Узнайте фамилию, как зовут автора книги и список всех его произведений по сериям. Ниже представлен текст книги, разбитый по страницам. Система автоматического сохранения места последней прочитанной страницы, позволяет с удобством читать онлайн бесплатно книгу «Breakout at Stalingrad», без необходимости каждый раз заново искать на чём Вы остановились. Не бойтесь закрыть страницу, как только Вы зайдёте на неё снова — увидите то же место, на котором закончили чтение. First, a word about the novel’s title: although the German ‘Durchbruch’ most commonly translates into English as ‘Breakthrough’, I have instead chosen to render it as ‘Breakout’. Heinrich Gerlach tells his story almost exclusively from the perspective of the officers and men of a German Wehrmacht unit trapped in the ‘cauldron’ or ‘pocket’ of Stalingrad in the winter of 1942–43, and much is made of the fear that the Red Army might ‘break through’ the German perimeter and annihilate them (a fear that is never actually borne out). 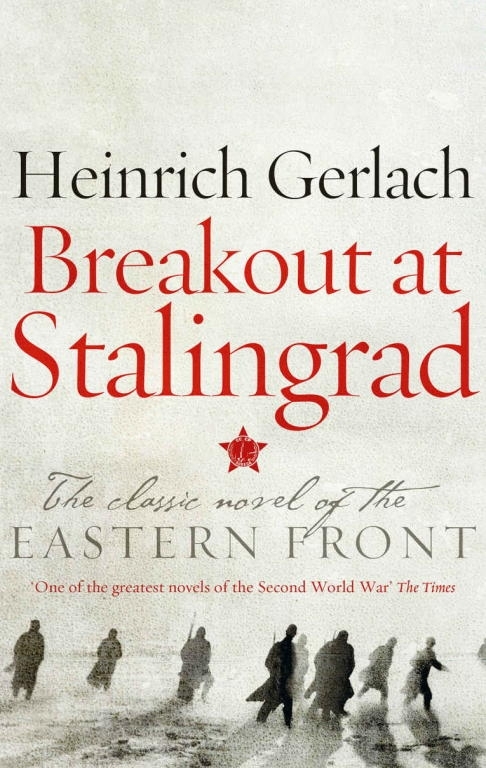 It was to avoid any suggestion that this potential Russian breakthrough was the main focus of the novel that I opted for the less obvious translation; ‘Breakout’ alludes to a suicidal plan mooted by some of the Wehrmacht unit (but again, never realized) to try to burst out through the Russian encirclement and reach the safety of the main German front hundreds of kilometres to the west. One way in which Gerlach puts across the desperate plight of his ‘band of brothers’ at Stalingrad is through an abrupt switching in his narrative from the past to the present tense – an effective method of conveying the raw immediacy of events, in particular the terrifying suddenness and confusion of combat. I was keen to retain these tense changes, both in order to do justice to the power of the author’s original text and because they are a key feature distinguishing Gerlach’s Ur-manuscript from the one he reconstructed after hypnotherapy, which formed the basis of his 1957 bestseller The Forsaken Army. Another touch of verisimilitude is the author’s liberal use of Landserdeutsch – German infantrymen’s slang; to try to capture the flavour of this argot, I have used corresponding words and phrases that would have been common among British troops of the same period (‘the Real McCoy’, ‘skedaddle’, ‘Elsan gen’, ‘lah-di-dah’, ‘swanning about’, etc.). The flow of the narrative is all-important, so I was concerned not to overburden the text with explanatory annotations. Much of the terminology of the Second World War and the Third Reich is already common currency in the Anglophone world thanks to oft-repeated documentary series and war films. I therefore confined myself to glossing only abstruse references to military hardware or to aspects of German culture that would otherwise have eluded English readers. Back Home to the Reich? Winter had sent out its reconnaissance parties into the brown steppe between the Volga and the Don. The unseasonal warmth of the first days of November had, by the sixth, given way to a snowless frost that froze the mud on the endless tracks as hard as asphalt. Along this pleasingly smooth, firm new surface sped a small grey car, lively as a colt that had bolted from its stable. It was coming from the great depression to the south, where the general staffs and the supply trains for the German units fighting to take Stalingrad had dug in, and heading for the railway station at Kotluban. The driver, so heavily muffled in winter clothing that all one could see of him were a pair of crafty eyes gazing out at the world and a red snub nose, gave the little vehicle free rein. Despite having a very poor view of the road ahead through the iced-up windscreen, he’d even occasionally take his hands off the wheel and quickly tug off his thick hopsack mittens to rub his cramped fingers. In peacetime, he’d been a long-distance lorry driver, adept at handling six- or eight-tonners, so he felt entitled to take liberties with this dinky little Volkswagen saloon. The officer in the front passenger seat was also feeling the cold, even through his padded greatcoat and two rugs. He drummed his feet in alternating rhythms on the floor of the car and against the metal door panel. If you’re cooped up in the same car day after day, bumbling through enemy territory avoiding any pitfalls, and if you’re sharing the same filthy dugout and eating from the same mess tin, then there’s not much room for secrets any more, even those officially stamped ‘confidential’. The officer looked at Lakosch out of the corner of his eye for a while and then burst out laughing. Breuer tightened the scarf round his neck and said nothing. Leave… He hadn’t seen his wife and children in over a year. The field hospital where he’d spent more than six weeks fasting while recovering from dysentery had put in an urgent request that he be granted a spell of home leave to recuperate. As if taking it easy was even an option around Stalingrad! After a long series of battles in which they sustained heavy casualties, the two grenadier regiments had finally managed to capture the tractor factory and had pushed forward almost to the banks of the Volga. Now the companies, which by this time were uniformly only eight to fifteen men strong and bereft of almost all their officers, were strung out in a thin line along the crest of the steep riverbank. Crawling with lice and caked with filth, freezing and utterly exhausted, they’d already waited for weeks to be relieved, exposed to constant bombardment by Russian artillery and mortars. And the few poorly trained replacements they’d been sent were picked off like flies by snipers. Down at the foot of the bluffs, the Russians were clinging on like barnacles; not even repeated dive-bombing by Stukas could dislodge them. Night after night, they received reinforcements from across the river and kept launching counter-attacks, which inflicted even more losses on the crippled German division. What was it Hitler had once said? ‘I’d rather hold Stalingrad with a few small combat patrols!’ Yeah, small combat patrols – that was about all that was left now! Take it easy, pah! And where was he supposed to do that? In Stalingrad, which was daily being steadily reduced to a pile of rubble by a hail of bombs and artillery salvos, or maybe at the POW assembly points behind the lines, or among the regimental and battalion staffs who were holed up in some basement or other, never seeing the light of day? Only the incessant nights of bombing in that foxhole in Gorodishche had been worse… Well, at least that was now in the past. The division had been withdrawn from there. The tank regiment, artillery and other units were already on the move, and the grenadier regiments were shortly due to follow. Off to winter quarters! Then, and only then, might there be some point in speculating about home leave. Представляем Вашему вниманию похожие книги на «Breakout at Stalingrad» списком для выбора. Мы отобрали схожую по названию и смыслу литературу в надежде предоставить читателям больше вариантов отыскать новые, интересные, ещё не прочитанные произведения. Обсуждение, отзывы о книге «Breakout at Stalingrad» и просто собственные мнения читателей. Оставьте ваши комментарии, напишите, что Вы думаете о произведении, его смысле или главных героях. Укажите что конкретно понравилось, а что нет, и почему Вы так считаете.